The North Indian state - Uttaranchal - has captivating snow-capped peaks, perennial rivers, bemusing lakes, revered temples and a mind-blowing variety of flora and fauna. Often descried as the Abode of the Gods, Uttaranchal, is embraced by blissful air of divinity and picture-postcard beauty. The Himalayas are nothing less than a natural paradise. This hilly state is divided into two regions - Garhwal and Kumaon. Garhwal region comprises of seven districts - Dehradun, Uttarkashi, Chamoli, Hardwar, Pauri, Tehri and Rudraprayag. 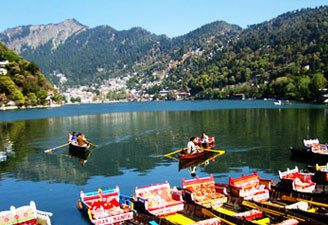 This premier Hindu pilgrimage also offers huge scope for wildlife and adventure tours. All of the tourists who come to experience the wonders of Uttaranchal's mountains, valleys, rivers, forests, flora and fauna, Rishikesh serves as the travel hub for them. Kumaoni region is spread across plains of Bhabar and Tarai encircling the fertile Gangetic bowl. It consists of six districts Almora, Udham Singh Nagar, Nainital, Pithoragarh, Champawat and Bageshwar. Rejuvenating dawns, yellow spreads of corn, murmuring dusks, deep forests, snow-capped peaks and famous Corbett National Park make it a dream destination. This state is blessed with a fascinating diversity of wildlife, presenting a diverse variety of geographical terrain which is an incredible treasure house of animals and birds. Ranging from gigantic mountains extensively covered with a thick blanket of snow, to the green-covered river valleys you are bound to find a rich stock of flora and fauna. This state is abundant with wildlife resources. Uttaranchal has specially designated reserved areas, national parks and sanctuaries just to protect and conserve its diverse species of flora & fauna. It enables the visitors to view them in their natural surroundings. It's bound to attract a large number of wildlife enthusiasts, keeping in mind the abundance of natural treasure heaped in or around this park. This most breathtaking wilderness area has some sanctuaries situated here which are being managed by Uttaranchal Forest Development Corporation. The first and finest national park spread over 520 sq. 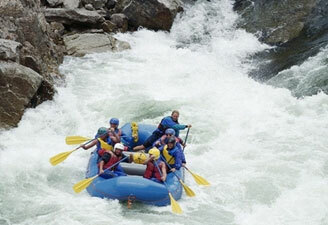 km, Corbett National Park is located along the banks of Ramganga river in the state of Uttranchal India. This park presents various kinds of vegetation throughout its varied topography, comprising of hilly and riparian areas, temporary marshy depths, ravines and plateaus. More than 110 species of trees, over 33 species of bamboo and 51 species of shrubs are found here. This 'Haven for Tigers' houses around 50 mammals, 580 birds and 25 reptile species. This wildlife destination is known for its rich biodiversity and pristine scenic beauty. Rajaji National Park is a paradise for nature lovers and wildlife enthusiasts. Elephants, tigers, leopards, deer and ghorals are the best known life forms of this park. An awe-inspiring ecosystem nestled in the Shivalik ranges, this National Park is spread over an area of 820.42 sq km. It starts from the vast Indo Gangetic plains, which represents vegetation of several distinct zones and forest types including riverine, broad leaf mixed forests, grassy pasture lands, chirpine forests and scrubland. More than 23 species of mammals and 315 avi-fauna species are found here. This world famous natural paradise is situated in the upper expansions of Bhyundar Ganga the state. It is spread over an area of 87.5 Sq. km and perched at an altitude of 3,250 m to 6,750 m. Around 300 species of wild flowers bloom here naturally.